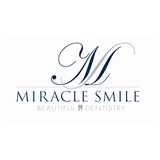 Miracle Smile Dentistry - Dr. Anna Aller (Plantation) - Book Appointment Online! Top Cosmetic Dental Office. We offer the highest standards of oral health care in the most professional and sensitive manner. We have the latest technology to offer you the most advanced dental treatments. We are premiere Invisalign providers. We provide the highest standards of oral care using gentle, high-quality, state-of-the-art dentistry in the most professional and caring manner. We are proud to be a family business with strong moral values, with a history of providing quality health care for several generations. We strive to satisfy our patients and exceed their expectations. In Miracle Smile Dentistry your satisfaction is guaranteed in every treatment we deliver.